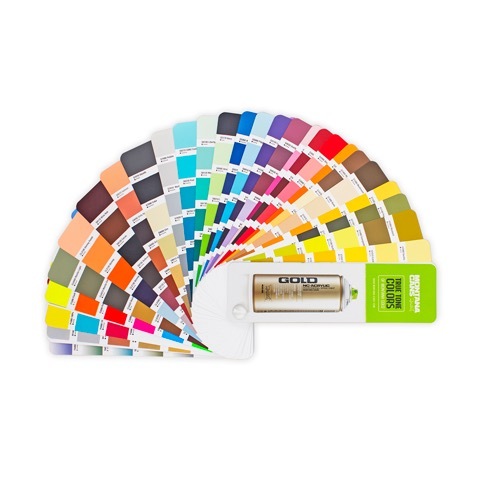 This swatch book has true-tone colors for the Montana Gold Spray can line. Although every effort has been made to check, mix and print colors as close to the original as possible, printing and paper limitations may create slight variations from the actual color. It is always recommended to test spray and compare colors in advance. Montana GOLD has a semi-matte to satin finish that may vary from color to color depending on pigment contents. Montana GOLD is an independent color system without any relation to other color systems like RAL or PANTONE.